For a different look, choose a different colour for the mock inframe surrounding your door. Here we have used chosen Brilliant White. 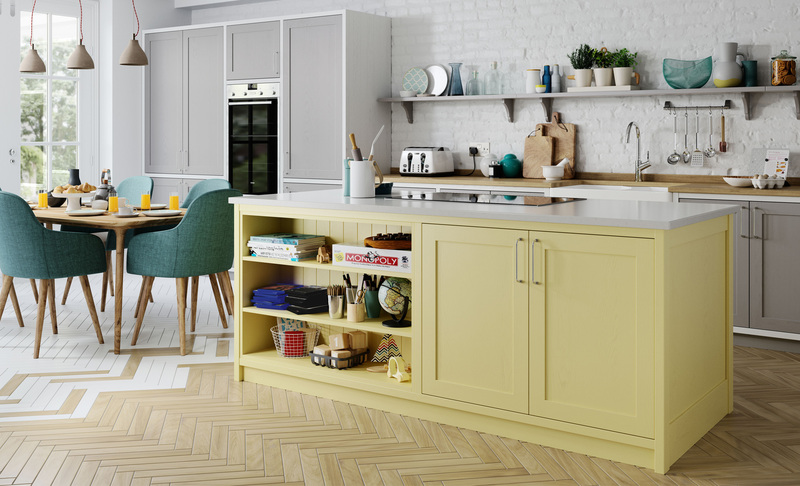 Show your fun side and choose a quirky colour such as this Pale Yellow using our colour matching service.